From time to time vacancies occur in the charity’s properties for those of restricted financial means, are of a certain age and who have lived in Westerham or Crockham Hill for at least two years. Community First Responder volunteers wanted! Westerham needs more volunteers based here – training takes about a year E: info@sevenoakscfrs.org if you are interested. 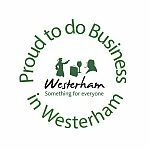 Normally 3rd Wednesday of the month 10 – 11.30am at Westerham Town Council – Council Room, Russell House, Market Square, WESTERHAM, Kent, TN16 1RB. The Churchill School Governors are seeking someone somebody with Finance experience willing to serve on the Governing Body. Sponsor a Real Easter Egg for Westerham Foodbank: at the beginning of Advent, members of the congregation sponsored the gift of ‘Real Advent Calendars’ to the Westerham Foodbank. The families who received them were delighted. We now have the opportunity to sponsor Real Easter Eggs. Would you like to help support families in the Westerham area who are facing terminal illness? ellenor is keen to recruit volunteers for its successful charity shop in the centre of the town.